Okay, so last time we talked about curves. Curves are bends in the road that require no speed change, or just a slight roll off of the throttle to negotiate fearlessly. Now corners, for the sake of this discussion, are bends in the road that require you to use the brakes. Well, people rarely get scared and ride off the road when rounding a gentle curve at a normal speed. But more often than you would think, people run up to a corner, feel like they are coming in too hot, get scared, panic, jam on their rear brake and low side, or panic, stiffen up on the bars and run off the road. According to the Hurt Report (published 35 years ago), it's the number one cause of single bike accidents. But there is a solution: Get in the habit of entering corners with your brakes on. What? Enter a corner with your brakes on? Are you daft? Are you insane? Have you been hiding under a rock for the last 35 years? You can't use your brakes in a corner or you'll fall down and die! It's about traction pie, man. If you use up all your traction cornering, you won't have any traction left for braking! Yeah, Yeah. 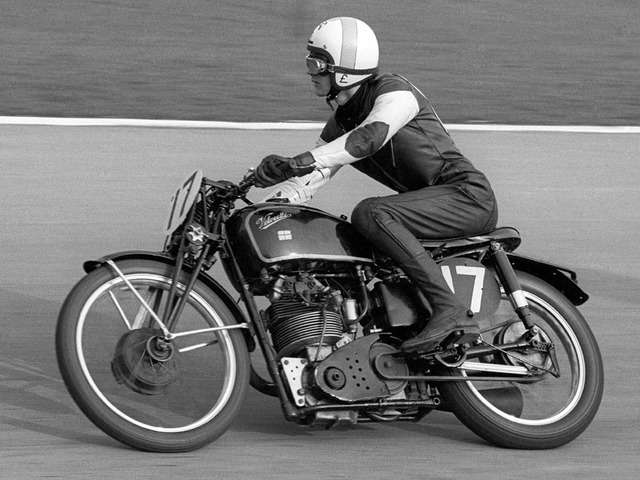 It is true that IF you are, in fact, using up ALL your traction cornering, you won't have ANY left for braking. However, normal riders, on normal bikes entering normal corner at anything near the normal speed limit are nowhere near using up all the available traction on their tires. 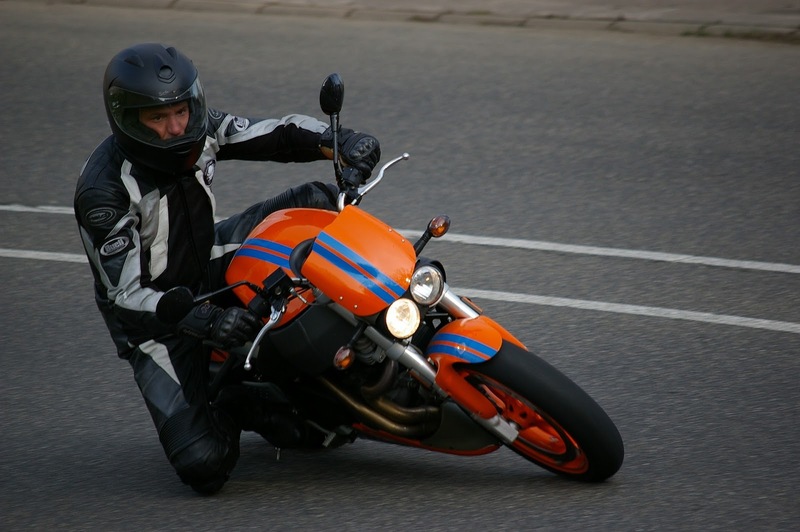 Here's why: The typical motorcycle street tire can handle about 1.1 Gs of sideways force. At 40 degrees of lean angle--the maximum lean angle for a Honda Gold Wing--the tire is subject to about .9 Gs of sideways force. In theory, that leaves about .2 Gs of force available for braking or accelerating at full lean. At 20 degrees of lean, which is as much as most people riding near the speed limit ever use, the tires only feel about .4 Gs of cornering force. That leaves .7 Gs available for braking or acceleration. Can you over brake in a corner, or entering a corner, and fall down? Absolutely. Can you over brake going straight down the middle of a clean dry road and fall down? Absolutely. Can you get most of your heavy braking done on the straight, then taper off the brakes as you get close to and enter a corner? Almost certainly. People have been doing it for ages. The real world answer is that entering a corner with just a touch of brakes allows you to adjust your cornering speed all the way down to the apex and beyond. In a very real sense, trail braking means never having to be afraid of any corner ever again. If you get close to a corner and it feels too fast, leave the brakes on a little longer then turn in at a slower speed. 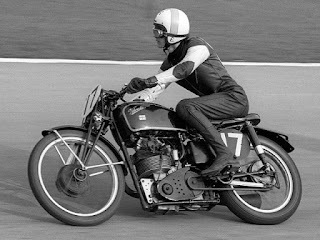 If you get INTO a corner and it feels too fast, ease on a touch of brakes until if feels good, then ride on comfortably. If you are in a corner and everything feels good, but suddenly the corner closes up, ease on a bit more brake and slow down until you have the proper speed for the new, tighter corner. Should you always enter every corner with the brakes on? Well, in theory, you probably could, but in the real world you don't have to. 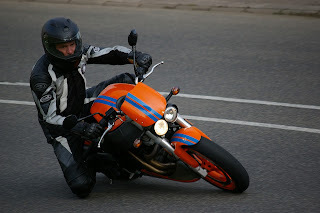 If you are at the turn in point and your speed feels fine, let the brakes go and turn the motorcycle. If you are in a corner and find a dusting of sand across the entire lane, you might not want to split your traction between cornering and braking, so you might choose to be off the brakes before you hit the sand. Remember, I'm not saying you should grab, stab or slam on your brakes going into a corner. I'm saying that if you are on the brakes approaching a corner, you might want to keep the brakes on slightly as you turn in. You'll have a better steering angle for quicker turning. Your brake pads will be pre-loaded against the brake disks for quicker response to all inputs. You'll have much better control of your bike's turning speed. Perhaps most importantly, by allowing yourself to adjust your speed all the way to the apex, you'll be able to ride comfortably, safely and fearlessly around any corner in the world. Ride safe and keep one eye on your future. Comments? Questions? 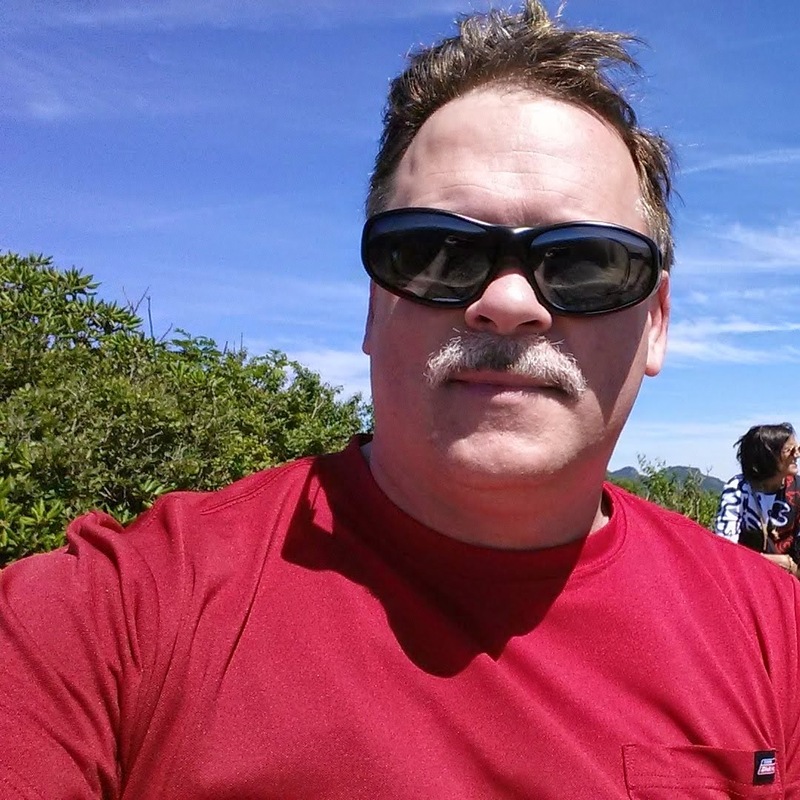 Want to know when the new motorcycle mystery novel is coming out? Find the Follow By Email box and subscribe now. This morning, I finished the on-paper edits of "Gold Wings are Murder." I found grammar and spelling errors on almost every page. I found 36 items big enough that I couldn't fix them on the spot, so I wrote those all down on a To-Edit list. Plus, I have two and a half chapters that need major re-work. In other words, it went GREAT! 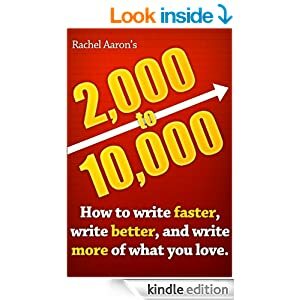 I'm using the editing process suggested by Rachel Aaron in her book "2,000 to 10,000: How to Writer Faster, Write Better, and Write More of What You Love." This is one of the best books I've read on the nuts-and-bolts nitty-gritty craft of writing fiction. Well done, Rachel Aaron! So, it's the beginning of June now. I should certainly have the book done and published for Amazon Kindle July 4th. I hope to also a paperback version--for folks who don't want to risk dropping their fancy Kindle while riding and reading on the back of a Gold Wing.